The foreign policy of Russia is approved by the President of the Russian Federation Vladimir Putin. Implemented by the Ministry of Foreign Affairs of the Russian Federation. The Committee is doing significant work jointly with the Ministry of Foreign Affairs of the Russian Federation. One of the important activities of the Committee on Foreign Affairs is the preparation and implementation of events related to Russia’s foreign policy. As part of this work, the Committee ratifies international treaties between Russia and other states. The Russian Federation is one of the most important partners of international cooperation. Russia is a permanent member of the United Nations Security Council together with the United Kingdom, the United States, China and France. In this regard, our state has a tremendous responsibility for maintaining world security and stability. In addition to the UN Security Council, Russia is a participant in a number of major international organizations, such as the Organization for Security and Cooperation in Europe (OSCE) and the Parliamentary Assembly of the Council of Europe (PACE). It is part of the so-called “Big Twenty” countries of the world, which are the most economically developed. The Foreign Affairs Committee takes an active part in the relations of the Russian Federation with other countries within the framework of these organizations, assuming the function of implementing Russia’s foreign policy. Chairman of the Committee Leonid Eduardovich Slutsky is deputy head of the delegation of the Federal Assembly of the Russian Federation in PACE. At the moment, the Russian Federation has established and maintains diplomatic relations with 193 states (as of September 11, 2017). A detailed list of states can be found here. 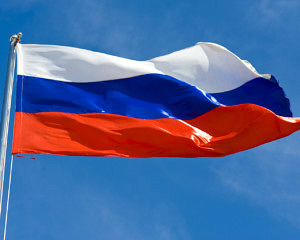 Members of the Committee are members of the deputy groups of the State Duma of the Russian Federation for relations with the parliaments of these states. One of the important issues of Russia’s foreign policy is continuity from the USSR. Russia was recognized by the world community as a state – continuer of the Union of Soviet Socialist Republics. According to the norms of international law, Russia and the USSR are one and the same state. In this regard, Russia continues to fulfill the international obligations imposed on the USSR and has all the international rights received during the existence of the Soviet Union. These rights and obligations include the status of Russia in the UN Security Council, participation in numerous international organizations, participation in international treaties, property rights and obligations and repayment of debts to other countries. In August 2017, the Russian Federation paid for the last foreign debt of the USSR. The President’s Address to the Federal Assembly on March 1, 2018.